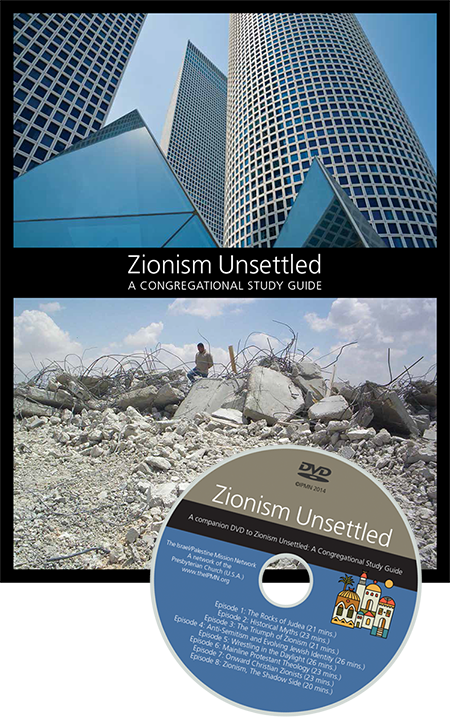 So great to receive my copy of “Zionism: Unsettled” – an exciting new church study guide published by the Israel/Palestine Network of the Presbyterian Church (USA). As someone who has been collaborating with Protestant church denominations on the issue of Israel/Palestine for a number of years now, I can say without hesitation that this is a much-needed resource: smart and gutsy and immensely important. ZU unsparingly examines Jewish and Christian forms of Zionism – with special attention to the way they have historically provided theological and ideological “cover” for the the dispossession of the Palestinian people. It’s a critical emphasis; indeed while there are no lack of political analyses on this subject, far less attention has been paid to the ways in which religious ideology has shaped the political context in Israel/Palestine. This guide fills that void powerfully with careful, impressively researched chapters on the history of political Zionism as well as examinations of evangelical and mainline Protestant Zionism. My own chapter, “A Jewish Theology of Liberation” proposes a Jewish alternative to land-based nationalism – namely, a Judaism based in values of universal values of justice and dignity for all who live in the land. Exceptionalism is not unique to Zionism; rather it is present whenever exceptionalist religious ideology is fused with political power. Christian exceptionalist beliefs and actions contributed to the Nazi Holocaust, the genocide of Native Americans, and countless other instances of tragic brutality. Exceptionalist doctrines and behaviors within Islam have contributed to grievous human rights abuses such as the massacres during the closing days of the Ottoman Empire which crescendoed with the Armenian genocide in 1915. I will say I do not personally agree with everything in this guide. In particular I’m at all comfortable with the theological analysis of Dr. Gary Burge, who rightly criticizes Christian replacement theology (the belief that the Jewish covenant with God has been “replaced” by the new covenant in Christ), yet seems to reaffirm it when he suggests a concept of a “’suspended blessing’ that will be restored at the end of history when ‘all Israel will be saved’”(p. 47). It’s not at all clear to me how this conception differs fundamentally from the Christian “one covenant” theology he purports to disavow. I was also disappointed by the chapter entitled “A Palestinian Muslim Experience with Zionism,” which does not at all apply kind of critical pedagogy to Islam that characterizes the chapters on Christianity and Judaism. While this chapter rightly spotlights “the inclusive theology of the Qur’an,” it fails to explore the exceptionalist manifestations of Islam in the same unsparing manner that pervades the rests of the book. As a result, this chapter feels to me somewhat tacked-on and represents a bit of a missed opportunity. Despite my issues with “Zionism Unsettled,” however, I nonetheless find it to be a courageous work that has the potential to be a genuine game changer in interfaith conversations over Israel/Palestine. While I have no doubt it will be enormously controversial in many liberal religious circles, I believe it is an essential resource that boldly reframes the terms of interfaith encounter in ways that are long overdue. I deeply admire its bravery and look forward to the conversations it will most certainly inspire. 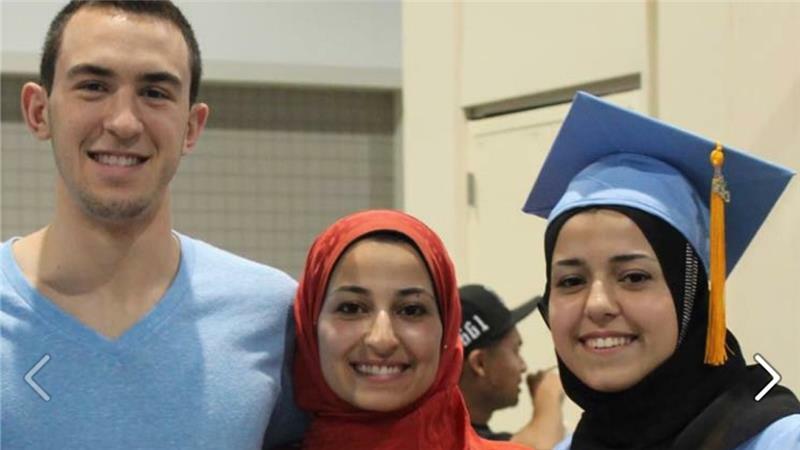 This entry was posted in Anti-Semitism, Christianity, Interfaith, Islam, Israel, Judaism, Palestine, Religion, Zionism on February 5, 2014 by Rabbi Brant Rosen.